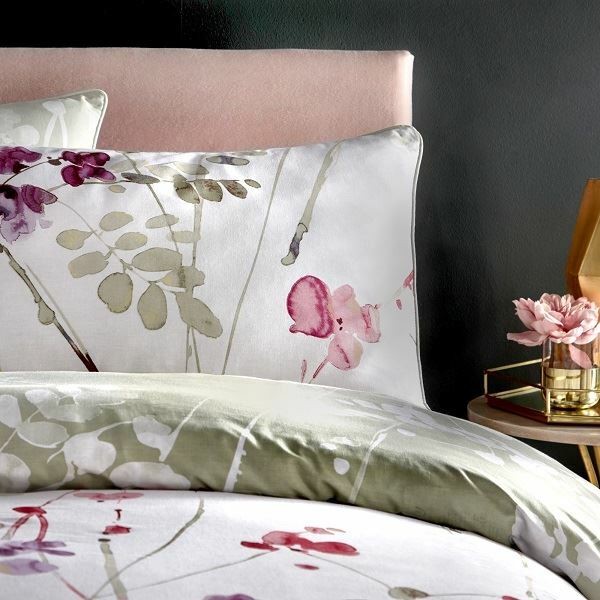 This watercolour floral bed linen will add a touch of spring to your guest rooms whatever the season. With a mix of subtle sage green on the reverse and pinks, greens and purples on the front, the Spirit collection offers two statement prints in one. Matching pillowcase(s) included. The construct is 180 thread count and 100% percale cotton to ensure breathability. For sizes, see the product details. Wash instructions: wash at 40° and tumble dry on low.